Crunchy, salty, sweet and spicy - the best nuts you will ever eat! 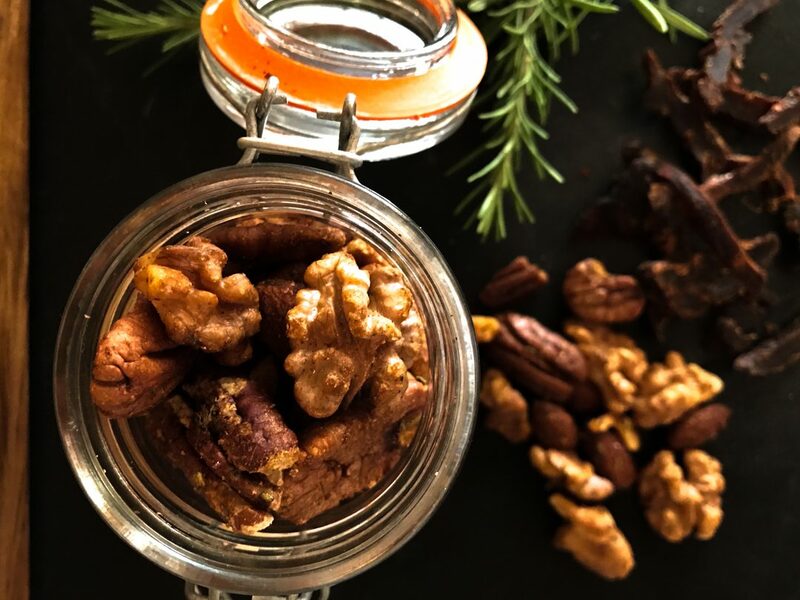 Crunchy, salty, sweet and spicy – the best nuts you will ever eat! Let’s talk nuts. Crunchy, salty, sweet and spicy nuts. 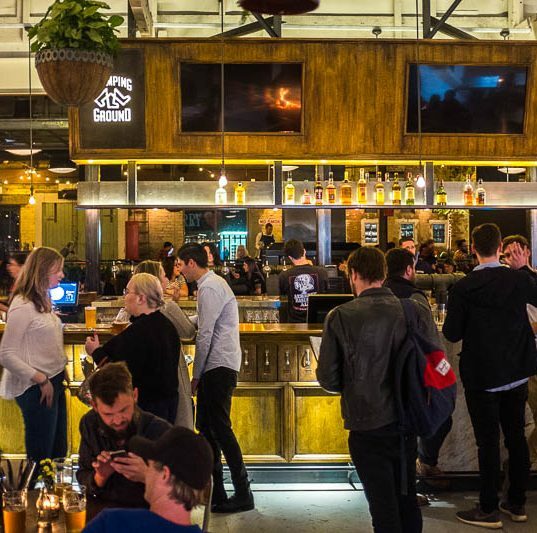 So you know when you hit up a swanky bar – gin, whisky (you know the kind), or perhaps you visit a trendy brewery and as soon as you order a drink, outs comes a bowl of what at the time seem like THE TASTIEST BAR NUTS ever. You totally devour the bowl, and the next, and the next. Then you think to yourself, why the f*&k have I not made spiced nuts before? 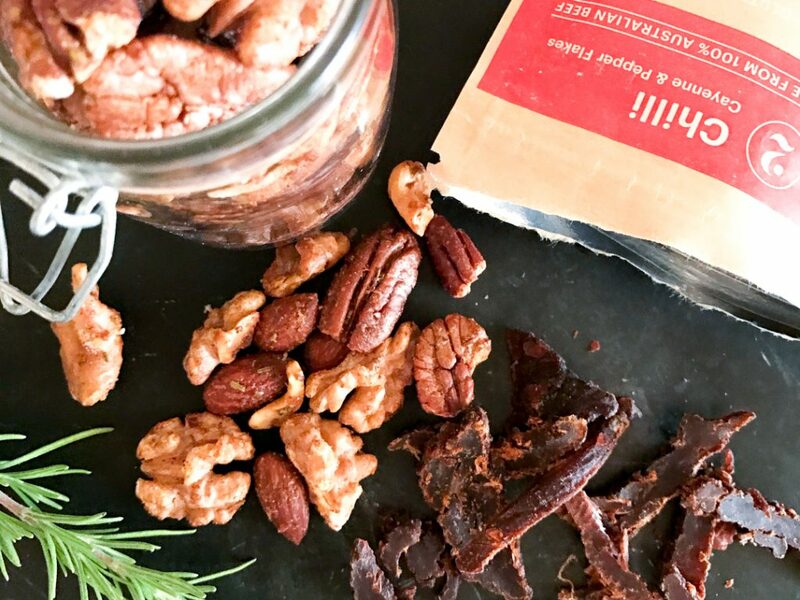 Sweet, salty, spicy nuts are the greatest and surely aren’t hard to make. Then you go home wake up the next day and totally forget to ever make those sweet, salty spicy nuts. Place nuts in a bowl to combine. Add all the seasonings, butter and maple syrup and mix well. Spread out onto two lined baking trays and place into oven at about 160-170 degrees celsius. Cook for about 15-20 minutes or until golden and crunchy… and make sure you toss them at least once to make sure they don’t burn.